H x W x D: 17 in. / 17 in. / 17 in. Produced, labeled “21/950” on rear base. This stylistically traditional statue was created to complement the more evocative, contemporary Vietnam Veterans Memorial by Maya Lin on the Washington Mall near the Lincoln Memorial. 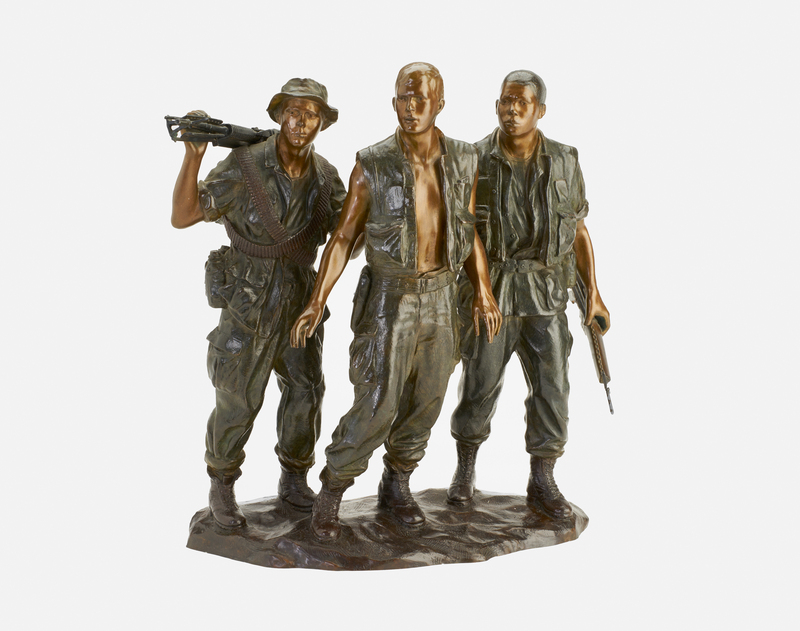 It portrays three young American warriors—a Marine and two Soldiers—during the Vietnam War. 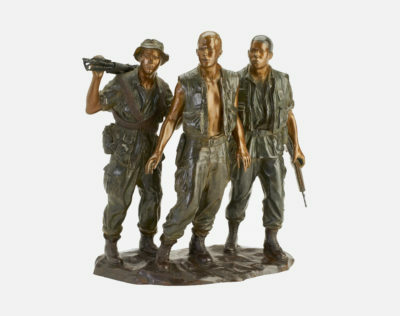 The three figures were based compositely on six actual young men; two were active-duty Marines at the time the sculpture was created. In order to portray the diversity of American combat personnel that served in Vietnam, the soldiers here are purposely identifiable as Latino American, European American, and African American.